There are three bands with the name Kayak. 1. Kayak is a legendary Dutch progressive rock band, mostly known during the 1970's. Formed from the ashes of the group High Tide Formation (who released only one single before disbanding), the early sound was typified by the contrasting songwriting styles of keyboardist Ton Scherpenzeel and drummer Pim Koopman, as well as the distinctive vocals of Max Werner. 1. 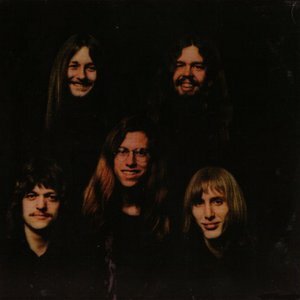 Kayak is a legendary Dutch progressive rock band, mostly known during the 1970's. Formed from the ashes of the group High Tide Formation (who released only one single before disbanding), the early sound was typified by the contrasting songwriting styles of keyboardist Ton Scherpenzeel and drummer Pim Koopman, as well as the distinctive vocals of Max Werner. The band saw an increasing streamlining of their songwriting, as well as greater commercial fortunes, over the years, hitting their peak of popularity with the smash success of their single ?Ruthless queen?, a sizable European hit from their 1979 album, Phantom Of The Night. Kayak disbanded in 1981, after their semi-conceptual Merlin and subsequent live album Eyewitness. Ton Scherpenzeel subsequently joined progressive rock legends Camel and contributed to their 1984 album Stationary Traveller, as well as to 1999's Rajaz. Kayak reunited in 2000, releasing one of their best albums yet: Close to the Fire, with a guest appearance of Andrew Latimer of Camel. Being active ever since, Kayak released two further conceptual opuses: Merlin: Bard of the Unseen (an elaboration of their 1981 album) and Nostradamus: The Fate of Man. In 2007 the band released the live CD KAYAKoustic, to return in 2008 with a new studio album called Coming Up For Air. The coinciding tour celebrated their 35th Anniversary. Current line up: Ton Scherpenzeel (keyboards) Pim Koopman (drums) Edward Reekers (voc) Cindy Oudshoorn (voc) Joost Vergoossen (guitr) Rob Vunderink (voc, guitr) and Jan van Olffen (bass). 3. Ayong, the drummer of Chinese post-rock band 48V, produces electronic music using the name kayak (styled in lower case).